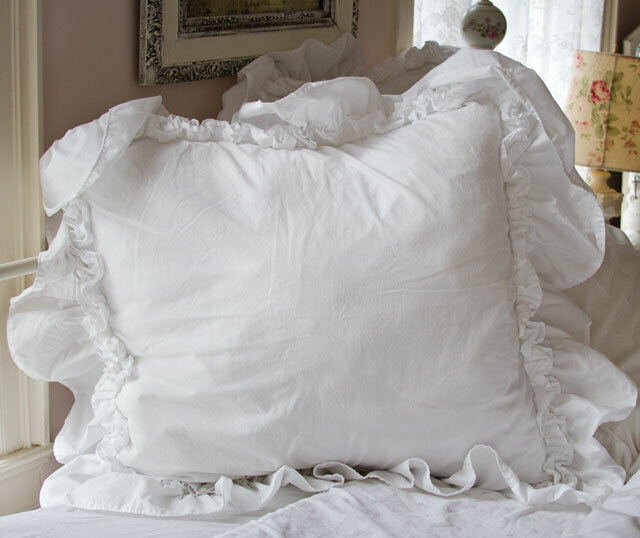 These lovely pillow sham is an Exclusive line to Vintage Rose Collection. This is made from a white cotton blend. Excellent workmanship on this bedding line, it is all hand-made. 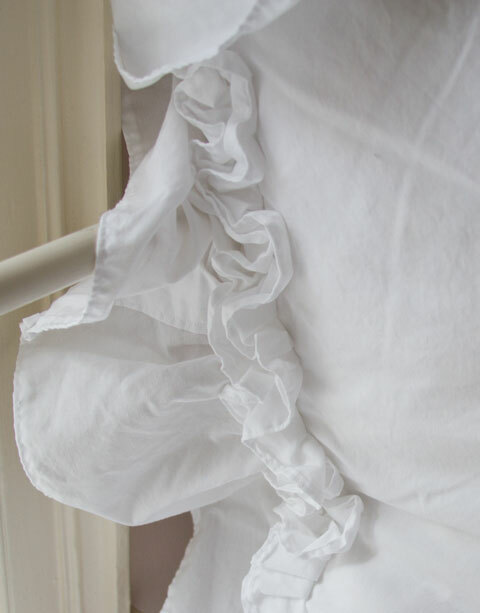 There is a large floppy ruffle and a mini ruffle with a slit in the back to launder easily. This is so feminine and luxuries, you will love it! See our pillow shams and duvet that go with this in our Bedding section.